Wired Women profiles successful women with ties to Boston who are pursuing their passions. These women serve as an inspiration not only to myself, but to women and girls everywhere who are eager to make waves in their field. 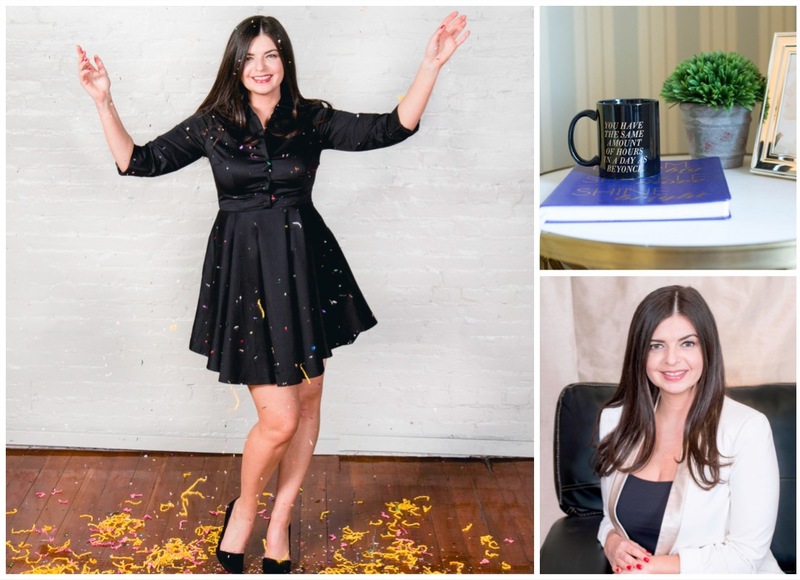 Meet Kristina Tsipouras, original girl boss, founder of Boston Business Women, author of the Busy Girl's Guide to Happiness, and serial entrepreneur with a penchant for connecting and empowering talented women. 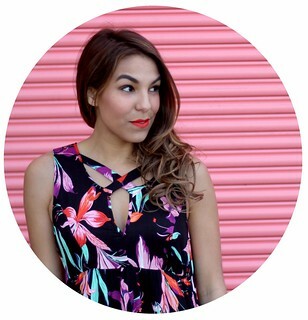 Read more about Kristina below! Style Wire: What were your interests growing up that led you to discovering your passion for leadership and business? Kristina Tsipouras: Freedom! I have been drawn to taking the road less traveled my entire life. I have always been a curious soul and enjoy building and creating things from an idea in a notebook to a successful company. SW: Why do you think so few women pursue careers in business and entrepreneurship? KT: I honestly don't know! My inner entrepreneur voice is so loud that I couldn't drown it out if I wanted to. I think many women need to stop letting society, or even their education choose their career paths for them. Instead, take some time to follow a passion, a dream, and just start something-- anything! Play, have fun with it, it doesn't need to be a huge risk, rather an experiment. SW: You've achieved so many incredible successes throughout your business journey, what do you feel have been the most valuable lessons you've learned that other entrepreneurs can learn from? KT: Surround yourself with mentors and people who have accomplished what you set out to accomplish. Don't be afraid to ask for help. You only get in life what you have the courage to ask for. Ask someone who has done it before you, "how did you do it?" People want to help you, and people love talking about themselves. Just make sure to bring a notepad! SW: Which of these success are you most proud of and why? KT: Building Boston Business Women from nothing to over 3,600 members. Every day I see women creating partnerships, helping each other, hiring each other for their services. We have needed something like this for a long time, and I am proud to be the one who brought everyone together. It is a daily reminder to all business women out there, that you are not alone! My theme of this year is, "it is time to stop competing and start collaborating." SW: What do you find is the biggest risk when it comes to being an entrepreneur? KT: Money, honey. I dove in head first, quit my career, moved home with the rents, started waitressing at night. I was a horrible waitress, I was so broke that I had to miss out on a lot of special times in my twenties, like friends weddings, trips, etc. Although it is now a good story to tell, I can appreciate the 'side hustle.' Keep your career or hold onto a part-time job as you move towards your dream. Don't jump if you don't have a safety net. Struggling to pay your bills is the worst feeling in the world, so I wouldn't recomend putting yourself in that place. But as soon as you start making steady income that can compensate your full-time career, jump and jump quickly!! SW: How are you able to maintain a happy and healthy lifestyle while running your own business, leading the Boston Business Women group, and organizing Boston's biggest women's conference? KT: We all try to master the work-life balance, but honestly there is no such thing. It is different for everyone. Sometimes I work all weekend and get a lot done, but then I take Monday off. Part of my book, Busy Girl's Guide to Happiness also discusses, S.E.N. the three highest priorities in my life. Sleep, exercise and nutrition. Take care of yourself first. Work when you are on, and rest when your body and mind needs it. This takes practice, but meditation, mindfulness and so many amazing tools out there today can help take you there faster. SW: What does your typical "work day" look like? KT: I am not a morning person so I start my working day around 10 a.m. It took me a really long time to not feel guilty about this, but it is my natural cycle and I never feel tired throughout the day. I am usually at my home office in Milton or running around downtown Boston at meetings. I always stop and take breaks to eat a good lunch and exercise. Every evening I usually work until about 9pm. The last few months, most of my weekends are surrounded with playing catch up on work from the week since my book, the conference and my lip balm line all launched at the same time. But I always make time for date night, or get dressed up and go dancing with friends when I need to un-plug and have some fun! This Summer, post conference, I look forward to lots of weekends at the beach and traveling to Greece to visit my family! SW: What's your favorite way to treat yourself after a busy, productive week? KT: Sleeping in on a Saturday, making breakfast with my boyfriend and snuggling on the couch in my pajamas until my heart desires! In really stressful times, a trip to the spa, reiki healing, and yoga! Join the Boston Business Women Facebook group to keep up with Kristina and other local girl bosses!